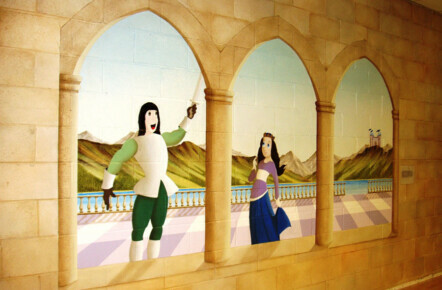 This hand painted princess mural was commissioned by the owners of a local children’s play and activity center. 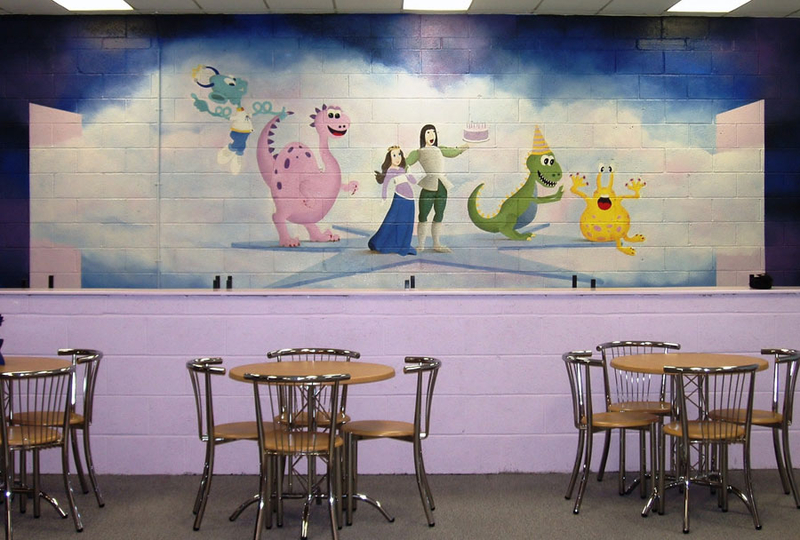 The center was called ‘The Time Machine’ and had different zoned areas for different activities. 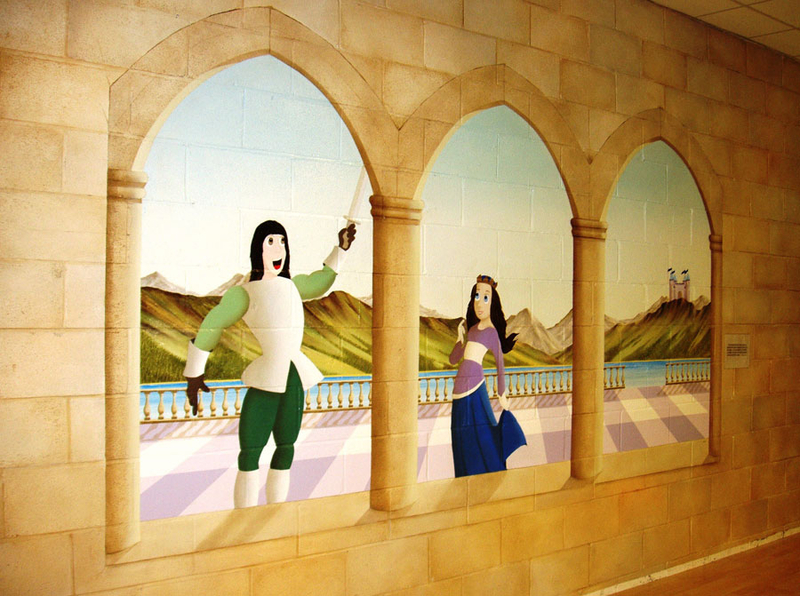 I painted two murals, the ‘princess mural’ was in the ‘Medieval zone’ whilst the other one set the scene for the ‘Party Zone’. 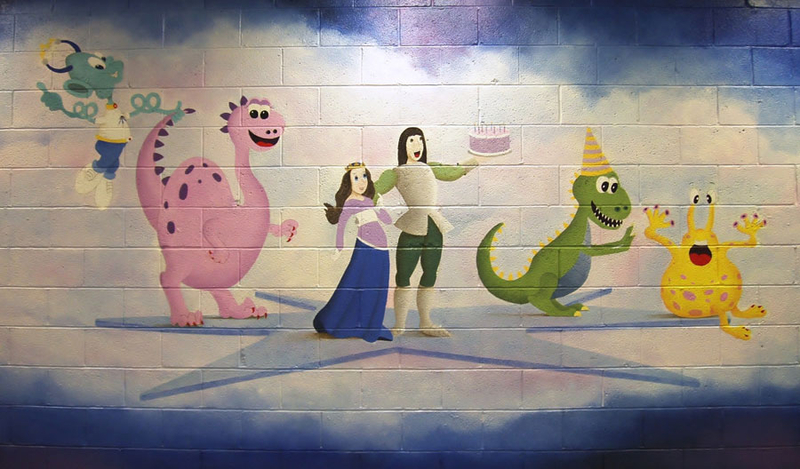 Each was very large (30’x15′) and used characters I had designed myself. 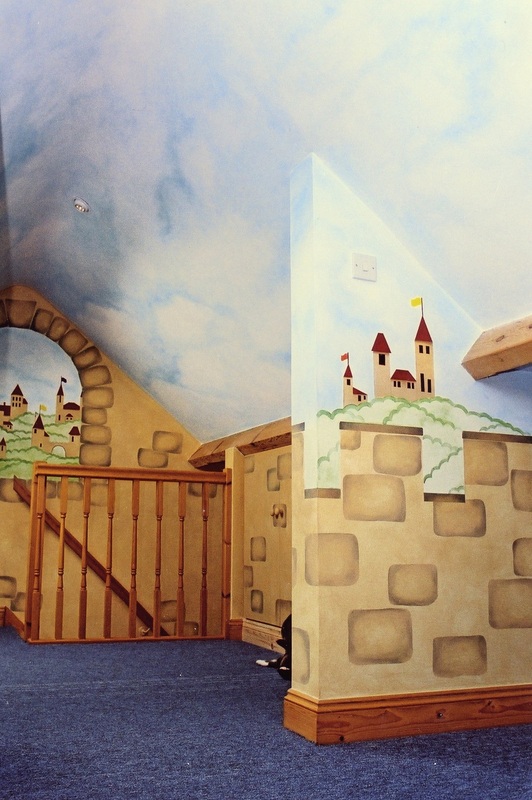 This childrens castle mural project was done in a private house and was more simple design, using a lot of stenciling. 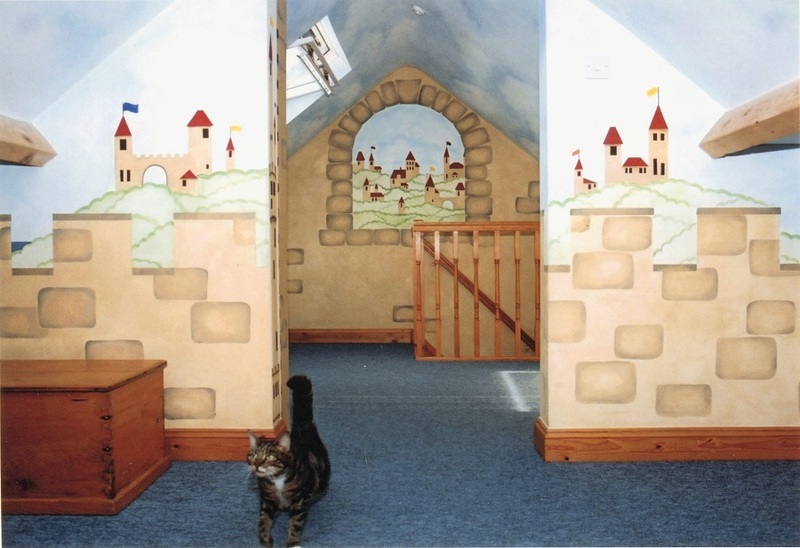 As the large majority of the mural was not free hand the costs were significantly less than some of my more detailed and intricate murals. 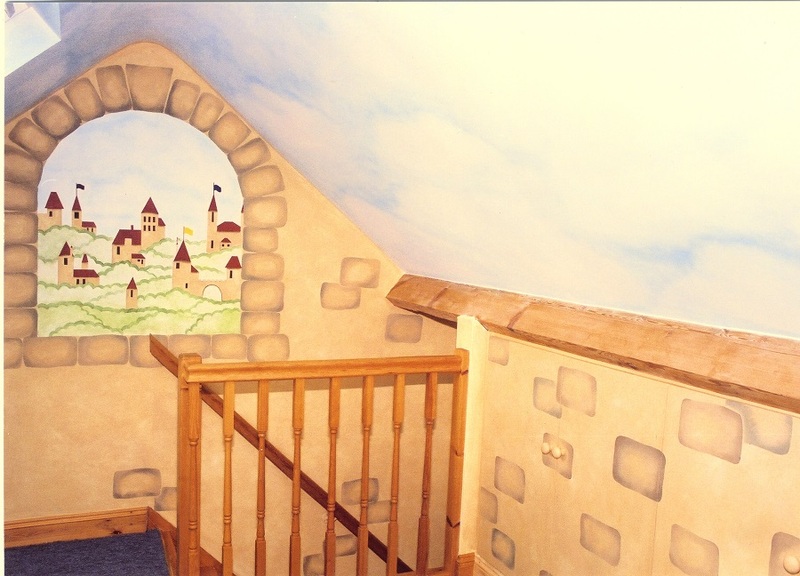 Both the twin boys and the parents were really happy with the finished mural and so was I, it was a lot of fun to do!